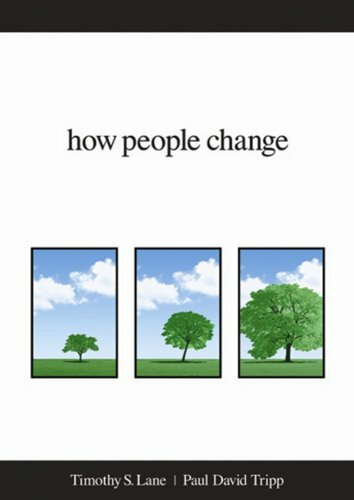 I’m reading a book called How People Change. When I looked at it, a little voice inside said, “Everyone wants to sell books and expand their sphere of influence. Everyone wants you to believe they’ve found some new approach to the age-old, universal obstacles. I thought this in spite of the fact that I’m reading it for a class that happens to be one of the biggest new ventures in my life. How can the same musty, cynical attitude surface even now? Then I started reading the book and realized I was scared. Not only does the book present a perspective I hadn’t considered before, but the largest term requirement is a personal change project, based partly on the book. In my gut, I always feel like complete surrender to God is going to be like being hooked up to a chain gang — breaking rocks for the Lord and forget about enjoying life, breathing, resting, relaxing. He’s in charge now, and he wants you to be working and sweating all the time. This can’t be true, but the notion gets in the way of my giving God more control of my life. I acknowledge God morning, noon and night, speak Scripture, pray (though not enough), and yield to God when it comes to basic points of morality. I avoid stealing, lying, cheating, etc. I forgive others and submit to what I know is God’s will in many other areas. 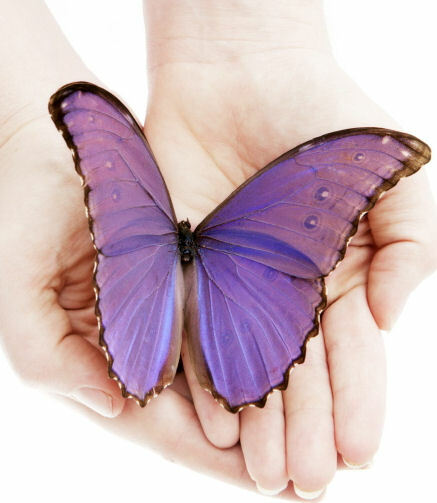 I have prayerfully moved toward trusting him more for my needs and being considerate of others even at personal cost. I don’t think I’m something special because of this; to the contrary, I fear it’s all ordinary, everyday self-righteousness — flesh-driven works. The part of the book God is stressing with me is the “Big Picture” — changing the way I respond to the pressures of life, as brought by difficulties, blessings and temptations. When I first read this, I thought, “I don’t know if I can do this.” It shouldn’t be so difficult to smile and thank God when bad things happen, but it is. I like my anger. I enjoy cursing my rotten luck and carrying a scathing contempt for rude, ignorant people. I hate the world, and I enjoy hating it. It gives me something to hold onto. The world is corrupt and wicked and deserves to be hated — even destroyed. I have often prayed that God would pull the plug on the world, even if I went up in smoke with it. When I began pondering all this, I realized that my anger is just another flavor of wickedness and corruption, though I tell myself it’s my reasonable response to it. In other words, I’m playing a sin shell game, compartmentalizing rebellion and sticking with less sinful sins. But my sin is worse than that of many of the people I can’t stand, because it’s rooted in pride. Pride has been called the “Great Sin.” It isn’t self-exaltation (though that is the form it most often takes). It is willful independence from God. Pride is going it alone, whether it means loving or hating myself. It is the root of all sin. And I have it in spades. God help me. I have to do this. This entry was posted in Trust and tagged anger, change, cynicism, faith, God, heart, How People Change, Jesus, obedience, pessimism, rage, sovereign, surrender, trust. Bookmark the permalink. Great post and I can identify with every line! Thanks, Fred. God is so good, and blessings hurt so much sometimes. Those two statements sound contradictory, but they’re part of his higher plan. Always nice to hear from you! Yes Doug, great post. I wonder at times which requires the greater attention from me: the JOY of walking with Jesus day by day or the insidious rearing of the flesh to steal that joy away. Paul assured me that the struggle would persist until I stand in HIS presence, fully redeemed. I don’t make it over here to your blog often any more. Thanks for speaking from your heart. That was a great plug! I recently came across Oswald Chambers “My Utmost, for His Highest” -March 23, I shoulda read this before I went to work, for the topic “”Am I Carnally Minded?”… Refers to 2 Corinthians 3:3. It would have been an awesome lesson, because the trial preceding this reading, put my in a reboot, at work, sadly to say… over something petty, like sharing a vehicle with smoked, and my area ternary respond tho a note he left, calling me a name, I had the tendency to be sensitive to smoke, my lungs could not handle it, and I got really sick, yet my employer, insisted, I “reboot”penalized .me, and my carnal mind because I responded, to a. Nasty note, in haste, in survival mind, not thinking mind, which is the mind of Christ, as best as humanly possible. I lost the night shift for pay. I just wonder, if my employer felt they handled it correctly by penalizing me as well…. thank you Doug, for sharing!